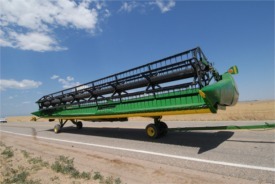 A draper feeding option is available for model year 2018 that will be offered for the full 700D Rigid Draper lineup. 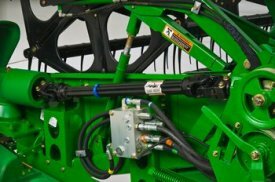 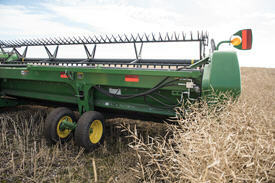 This option code will include larger top crop augers with the necessary hydraulic components and mounting hardware as well as an improved seal kit to keep the grain in the draper and not left on the ground. 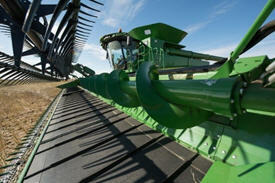 The top crop auger has been increased in size from 304.8 mm to 457.2 mm (12 in. 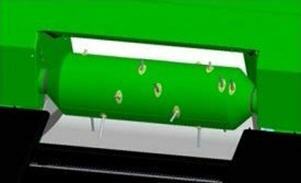 to 18 in.) 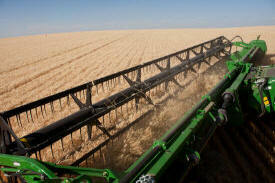 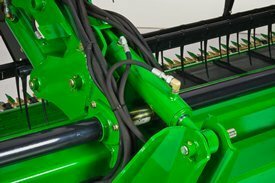 with deeper auger flighting to give increased control in bushy crop conditions. 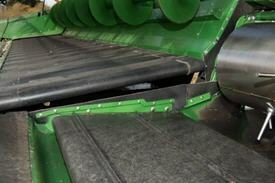 This results in even feeding to the center feed drum, which creates a smooth transition to the feederhouse. 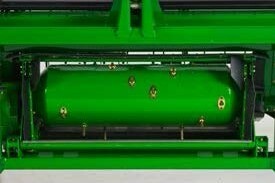 The seal kit for the center feed section has added rubber seals on both sides of the center feed drum, preventing losses from grain falling outside of the center feed drum. 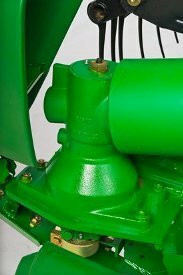 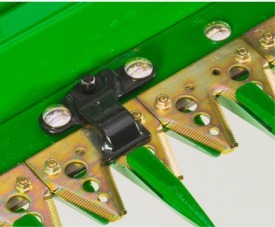 The center feed drum is designed for efficient, consistent feeding of the crop into the combine feederhouse. 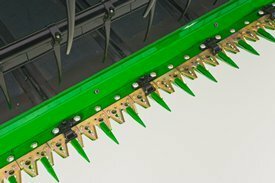 A feature for 700D Draper Platforms is a feed drum retractable auger finger to improve crop feeding at the corners of the feed drum. 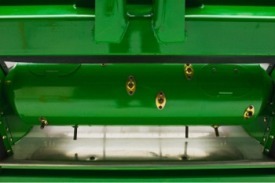 In some crop conditions, crop can hesitate at the corners of the feed drum but the retractable drum fingers keep the crop moving into the combine.